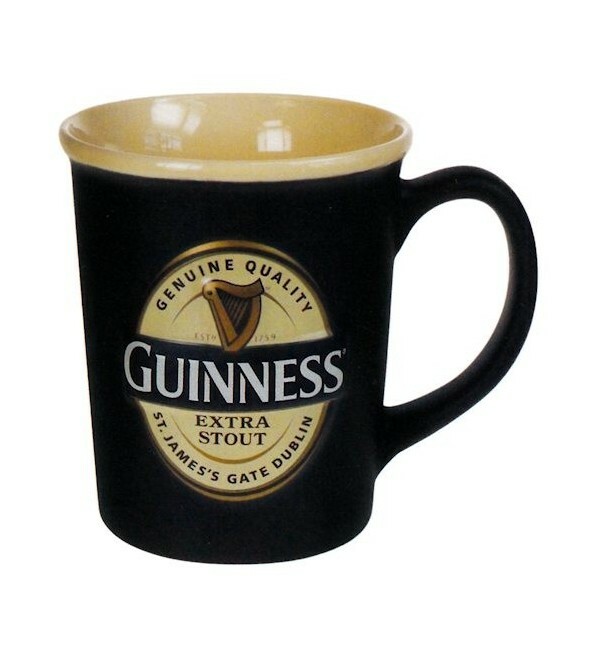 This large man-size mug is ideal for everyday use with lots of space for tea, coffee, water or other drinks. In black with a cream lip, just like a pint of Guinness. 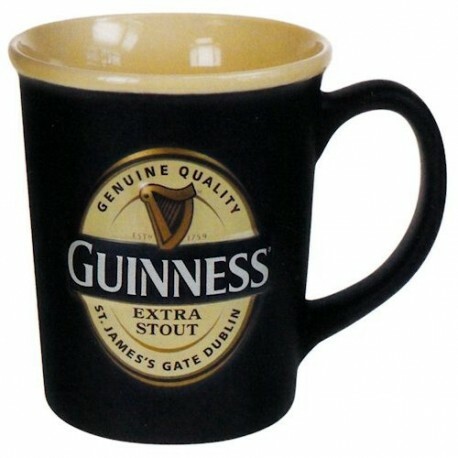 Features embossed new Guinness Extra Stout logo on both sides and GUINNESS Trade Mark logo on inside bottom.